I was born to a family with a modest way of living. My father is a farmer and my mother earns from some random jobs available in the village. They are a hardworking couple who went to great lengths in the hope to build a bright future for their children. As a young boy, I had admired my peers for their fancy clothes, new school supplies, and nice playthings. I attended a public school and played with ordinary children. It was a life devoid of sumptuous comforts. I grew up forming so many dreams. I desired various things that have become symbols of tantalizing success. Amidst our humble circumstances, my parents did not fail to show us the value of helping and sharing whatever resources you have to others in need. They have never preached it, but I have seen them live up to it. Drawing an inspiration from my family, I persevered and finished my education with flying colors. I made my parents proud every time they ascended the stage and celebrated my academic awards. Education unlocked my potentials that enabled me to conquer the world today. Looking back, I smile in realizing that our life now is better than it was five or more years ago. I felt that the blessings we are receiving are the results of our capacity to share. 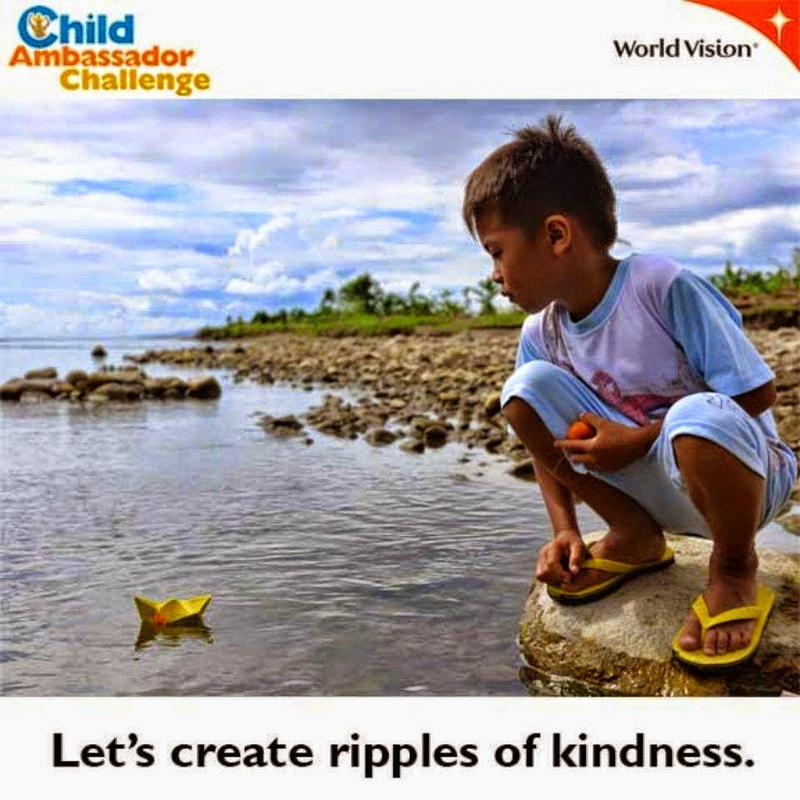 So last year in June, I decided to embark in a child sponsorship journey with World Vision Philippines. With more than 18,500 Filipino sponsors, the program helps thousands of children living under vulnerable, impoverished conditions get a chance to enjoy a better childhood, receive proper education, connect to essential social services like healthcare, and grow up in a community that nurtures growth and development, until they become self-reliant. My sponsored child’s story is no different with mine. I feel his unspoken dreams. I hope that through this small act of sponsorship, I would be able to leave a lasting difference on his life. The fourteenth item on my bucket list envisions that ten children finish education, which has now become a privilege less accessible to the destitute. It is my way of fulfilling my ministry, for I believe that each one of us should hold a sense of social responsibility for our fellow human beings. Discover the joy of sharing through the transforming and rewarding experience of child sponsorship. Make a difference and SIGN UP today.